Royalty-free stock vector clipart image of a Santa Claus with a bag full of gifts leaning forward while holding a Christmas present. 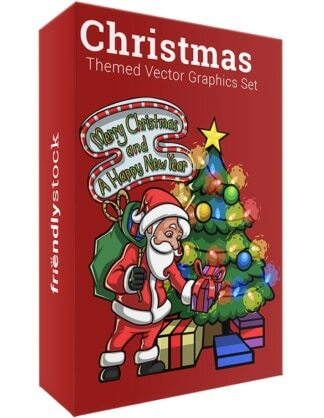 Royalty-free stock vector clipart image of a cute Santa Claus waving while his gift bag is open on the floor. Royalty-free stock vector clipart image of a black boy and a little girl sitting on Santa’s lap.